Here are some of the ways that you can help the My So-Called Whatever Podcast as well as ways to help some of our favorite charities. 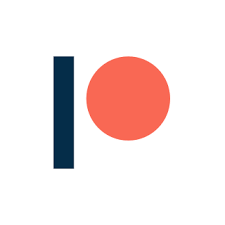 Become one of our "Patreon Peeps" by becoming a patron and helping our podcast grow! Remember Betty is a charity that is very near, and dear to our hearts. Founded by Danny Wood (of New Kids on the Block), "their mission is to help minimize the financial burden associated with breast cancer for patients and survivors by providing direct financial support to them so that they can focus on recovery & quality of life." We were very lucky to be able to have Abbie Vicknair, Director of Remember Betty on our podcast. We have a lot of love for Abbie and Remember Betty. You can listen to the episode by clicking the link below. For any purchase of a "My So-Called Whatever" logo-only item (indicated with the charity contribution seal) from our store - we will donate 75% of all profits back to Remember Betty. Generation Rescue curated a movement dedicated to providing comprehensive treatment opportunities to autism families. Their mission states "We are the leading national organization that provides hope, information and immediate treatment assistance to families affected by autism spectrum disorders." We were so excited to have Zack Peter, Associate Director of Generation Rescue join us for an episode of the podcast. We had a great conversation and a great time chatting it up. Check out the episode below.